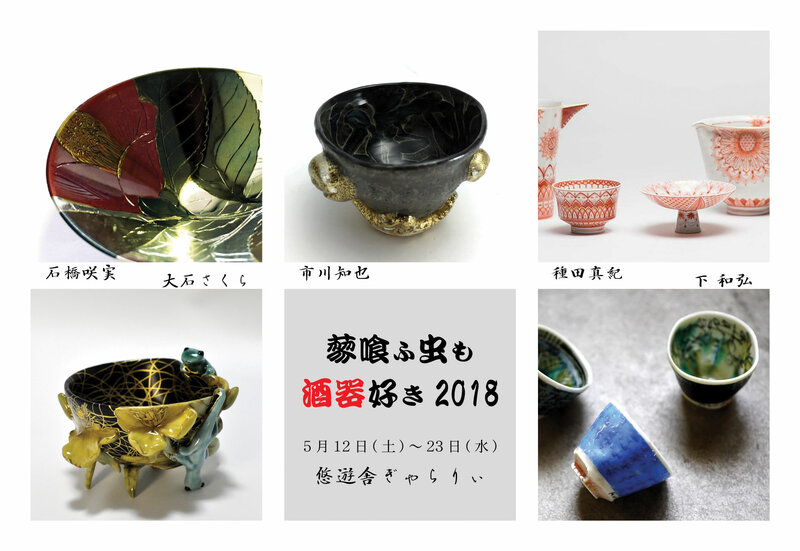 In an annual exhibition "the exhibition of SAKE cups”, we have introduced various artists. In these years sake cups "guinomi" collectors has increased and we have been able to see original and various sake cups all around. In this exhibition we will introduce so attractive works made of ceramics, glass and metal. 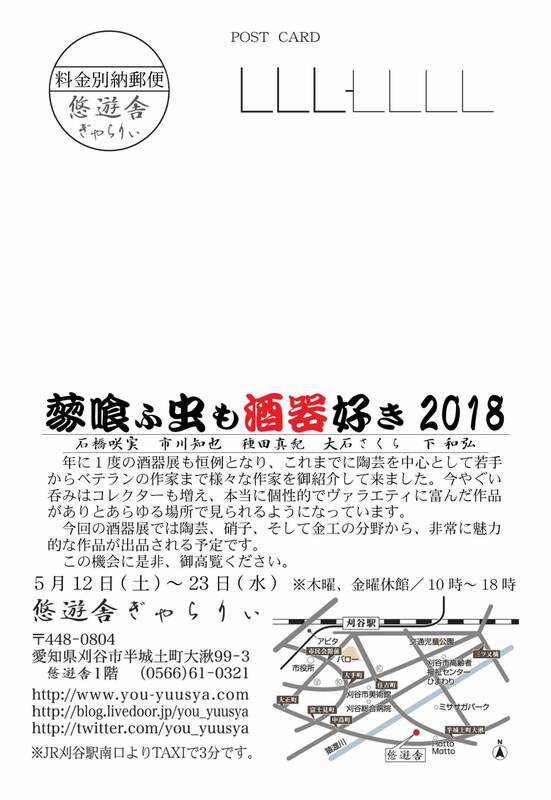 May 12 Sat. - 23 Wed.